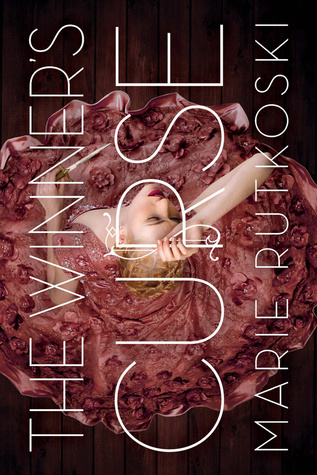 this week I’m waiting on The Winner’s Curse by Marie Rutkoski (expected publication: 4th March 2014 by Farrar, Straus and Giroux – BYR). It’s a YA Fantasy novel and the first book in a trilogy. Seventeen-year-old Kestrel is an aristocratic citizen of Valoria, a vast empire that revels in war and enslaves those it conquers. Here, a girl like Kestrel has two choices: join the military or get married. Despite her skills in military strategy, Kestrel’s real passion is music. Which is why she feels compelled to buy Arin, a slave with a talent for singing, at auction. It’s not long before she finds herself falling in love with Arin, and he seems to feel the same for her. But Kestrel quickly learns that the price she paid for Arin is much higher than she ever could have imagined. The Winner’s Curse is a story of wicked rumors, dirty secrets, and games where everything is at stake, and the gamble is whether you will keep your head — or lose your heart. In the tradition of Kristin Cashore and Cassandra Clare comes this brilliant, unputdownable, star-crossed romance about the curse of winning. What are you waiting on this week? Is The Winner’s Curse on your TBR list? This entry was posted in Waiting On Wednesday and tagged 2014 release, fantasy, Marie Rutkoski, Reading, The Winner's Curse, Waiting On Wednesday, YA Books, Young Adult literature.